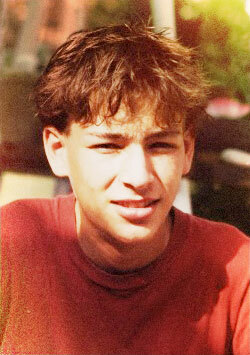 The Josh Gottheil Memorial Fund for Lymphoma Research was established in 1994 to honor the memory of Josh Gottheil, who died from lymphoma on April 4, 1989. Josh’s death came four months after he received a bone marrow transplant at Barnes Hospital in St. Louis, where he had put up a heroic struggle to beat the disease and the aftermath of the treatment. Josh’s Fund is dedicated to supporting oncology nurses who work with patients in bone marrow and stem cell transplantation in recognition of the crucial role these professionals play in patient care. Despite his young age, Josh had been a promoter in the rock music business and often became friendly with members of bands that he brought to perform in his home community, Champaign-Urbana, Illinois. A number of bands, deeply moved by his struggle and his death, stepped up to perform benefit concerts in his memory. The funds raised from these events and many other donations from friends and family in Josh’s memory in the few years after he died were directed to the Leukemia Society of America to support the many crucial goals of that organization. 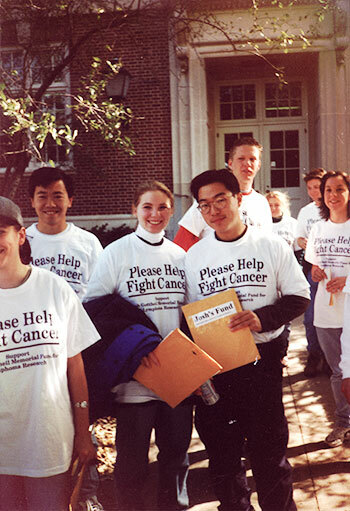 Students at the University of Illinois at Urbana-Champaign volunteered to raise funds at U of I football tailgate gatherings from 1994 to 2009. Josh’s family wanted to honor his memory with a charitable foundation that bore his name and that would be dedicated to the fight against lymphoma. At first it was thought that supporting research in this disease would be the goal and thus Josh’s Fund received its name. Realizing that basic biomedical research is a multi-million dollar enterprise, most appropriately funded by major public and private foundations such as the National Institutes of Health and the American Cancer Society, the Gottheil family looked for a direct service goal for Josh’s Fund. It was then that they thought about the nurses that had cared for at Barnes Hospital. They and the thousands of oncology nurses across the country work tirelessly to provide the treatments and care that seriously ill patients undergoing bone marrow or stem cell transplantation require. Bone marrow transplantation is a treatment for life-threatening forms of cancer when less invasive treatments have failed. Patients undergo high doses of chemotherapy and radiation followed by the infusion of bone marrow to provide the components of the blood needed to fight disease. Because recovery is often long and may involve many setbacks nurses who care for bone marrow transplant (BMT) patients have special training and must be highly skilled. They must also be highly dedicated because the work in a BMT unit is so very demanding. The BMT nurses who cared for Josh did so with untiring attention and compassion and their knowledge base was vast. BMT nurses everywhere deserve recognition and appreciation for their professional ability and the work they do. Josh’s Fund is dedicated to support for these vitally important health care professionals. In 1993 the Gottheil family contacted the Oncology Nursing Society in Pittsburgh, PA to formalize a relationship between ONS and Josh’s Fund. ONS has established the Josh Gottheil Memorial Bone Marrow Transplant Career Development Award. Each year, four ONS nurses receive that award. An ONS committee accepts nominations and selects the recipients and Josh’s Fund provides a donation for educational grants to the awardees. Since 1994, Josh’s Fund has provided grants to over 80 oncology nurses who are associated with medical institutions all across the country. Read more about the ONS Foundation Award here.